During the summertime, severe storms and blackouts can leave you without power and air conditioning for a few hours or even a few days. How can you prepare so your family is as comfortable as possible during these unexpected times? Create an emergency kit with the following must-have items. 1. 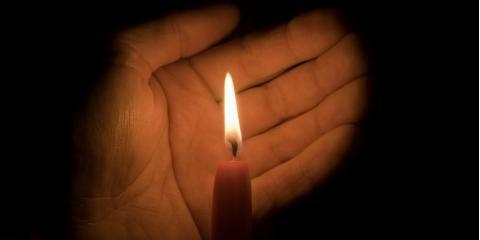 Candles & Flashlights: You’ll need to be able to see if the power goes out at night. Have unscented candles and flashlights on hand for these occasions. Opt for tapered candles, as they offer more light, and have a battery-powered lantern available to create ambient light so your family can play games to pass the time. 2. Battery Packs: Keep AA, AAA, and D batteries at home so you can use them in your flashlights. It’s also a good idea to have a cell phone battery pack available so you can make calls and follow the news while the outage is happening. A battery-powered fan can also cool your family off in lieu of air conditioning. 3. Water & Snacks: Along with a lack of AC, you also won’t be able to use your refrigerator. Avoid opening the door to the fridge, as that will let out the remains of the cool air that is keeping your food safe to consume. Many homes will have limited water supplies as well during these times, due to a lack of electricity to the water pump. Keep non-perishable snacks like canned fish and fruit in your home along with a couple gallons of water to use for drinking and bathing purposes. 4. Hand Sanitizer: When the water no longer runs, you’ll still want to be able to clean your hands. Have some hand sanitizer available for these occasions. Montgomery Heating & Aire in Mountain Home, AR, provides customized professional heating and cooling services that can improve air quality. Their innovative team installs, repairs and maintains many top brands like Trane™ Heating and Cooling, Mountain Home®, and Mitsubishi®. Call (870) 435-1501 or visit the website for information on how they can help improve your heating and air conditioning efficiency and minimize utility bills.